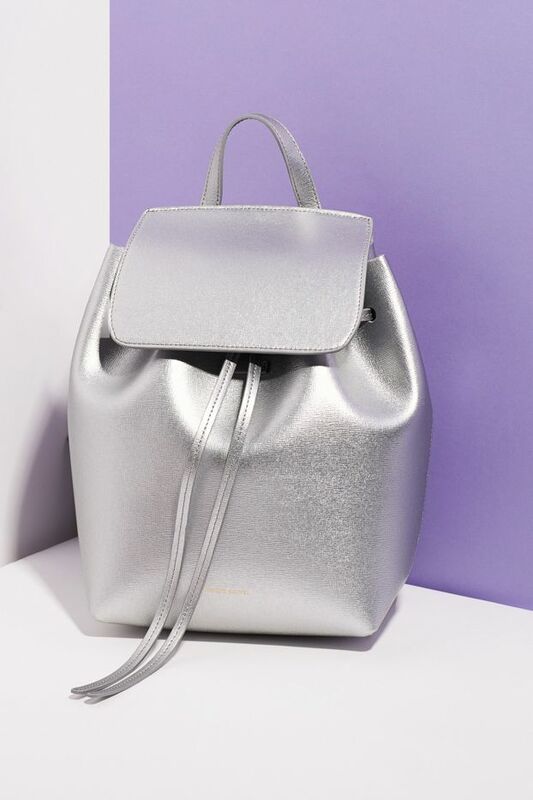 If you've long been eyeballing the cute Mansur Gavriel bags that the whole fashion world obsesses over, but you just really wished they made their sleek bucket bags in a statement-making silver finish, today is your lucky day. The It-brand teamed up with Opening Ceremony for a small capsule collection of exclusive bags, all done in silver Saffiano leather. The iconic bucket bag has (sadly) already sold out after being available only a few hours, but the tote and the backpack are still availble. Keep scrolling to shop Mansur Gavriel's exclusive Opening Ceremony bags now! How would YOU style a metallic leather bag? Tell us in the comments below!